The Villars Cave or Grotte de Villars contains galleries of stalactites and yellow and ochre calcite accumulations, including 17 000 year old prehistoric paintings dating from the same period as those at Lascaux. The slow seepage of water has created some of the most beautiful natural scenery. 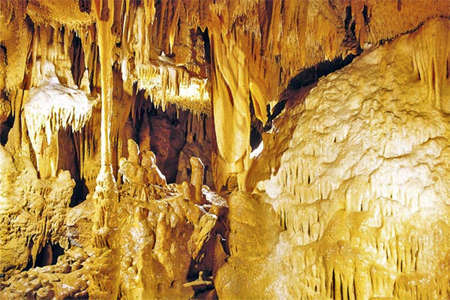 There are all types of concretions: calcite, thin stalactites, Gours, translucent draperies and countless stalagmites. 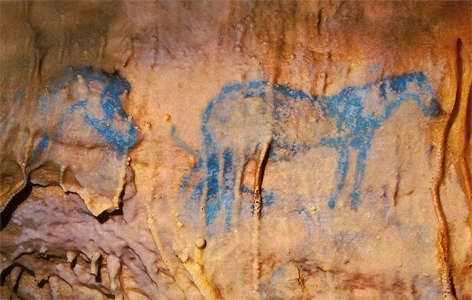 There are cave paintings 17 000 years old. 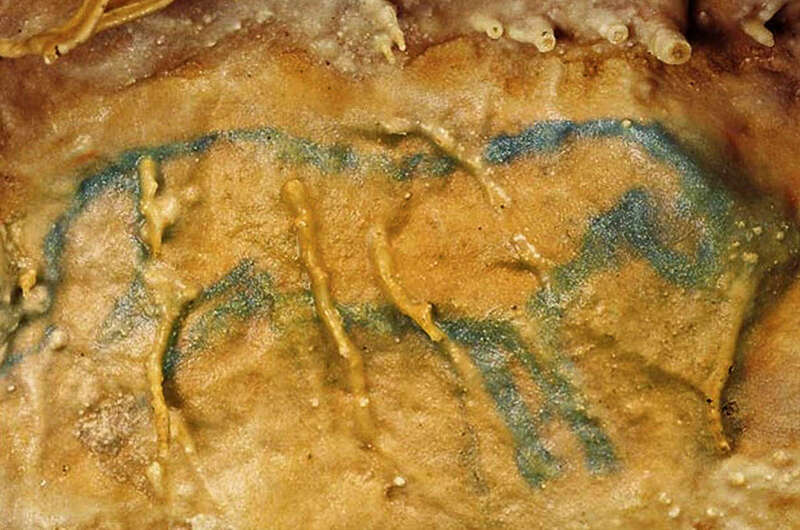 Some, like the rotunda of the horses are covered with a thin layer of calcite that gives them a special blue color.The scene of the boson and the sorcerer is one of the few human representations of prehistoric art. At the end of 1953, as evening was falling on a cold winter's day, a team of the spéléo-club of Périgueux wandered in the woods of Cluzeau. Under a group of sharp rocks was found a fox hole blocked by stones. A light mist left this hole, an unmistakeable sign that there was a cave below the opening. After having opened the passage, the discoverers, Marie Claude Ferres, Yann Jezequel, Robert de Faccio, Bernard Pierret and Pierre Vidal found a marvellous rock garden. During many expeditions, the speleologists explored a whole tangle of galleries and rooms extending more than 13 kilometers and on several levels. 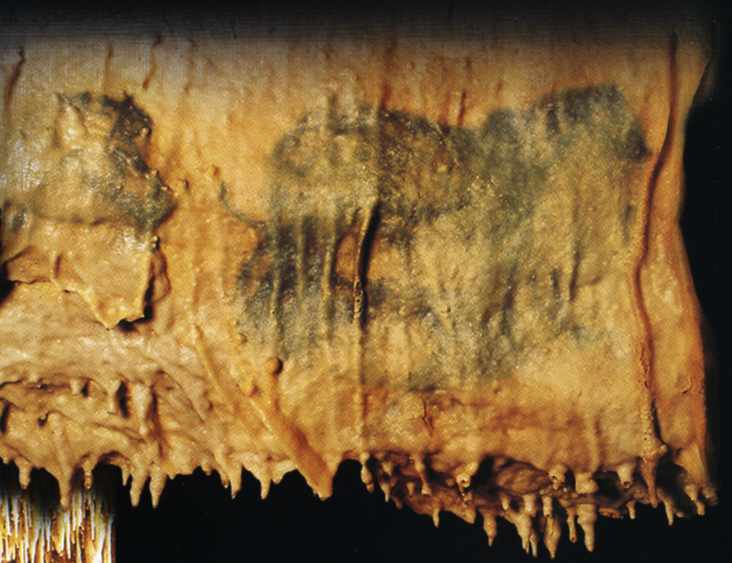 Five years later, in December 1958 a new discovery was going to make of Villars a sanctuary: during an exploration, Pierre Vidal member of the spéléo-club of Périgueux observed many prehistoric paintings covered by calcite: Villars is a decorated cave. 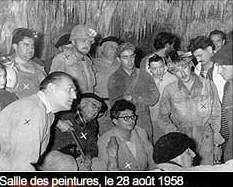 Abbé Breuil appraised the paintings and in 1959 the Grotte de Villars was opened to the public. 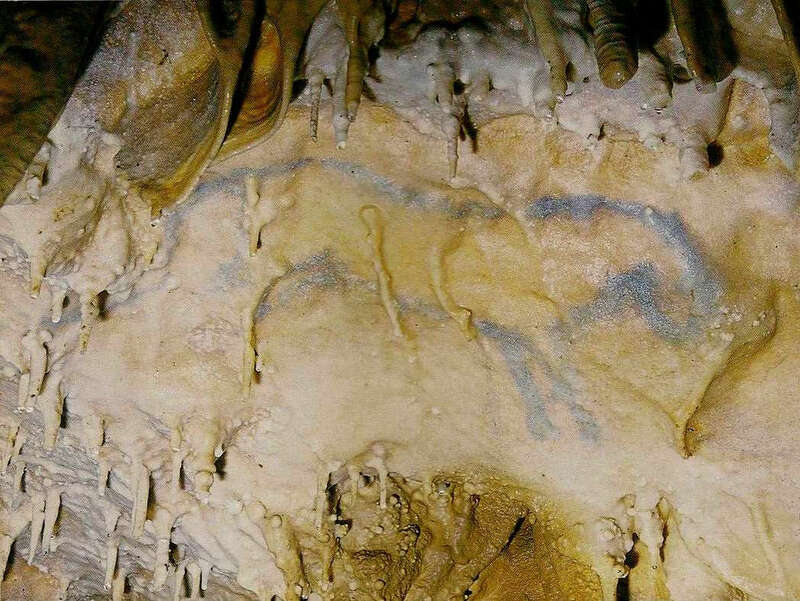 The paintings in this section of the Villars Cave date from around 17 000 BP and were discovered in 1953 by the Périgeux potholers club. It is the largest underground network in the Périgord, with more than 13 kms explored. 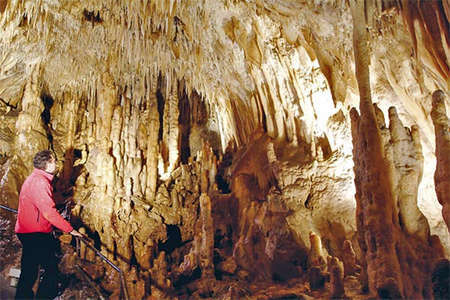 The underground river has hollowed out huge chambers, connected to each other by galleries. 2. Plan of the Villars cave (Dordogne, SW-France; from Vidal and Baritaud, Spéléo Club de Périgueux). black circles = monitored stations (#10A,#10B = upper galleries; #1A, #1B = lower galleries). 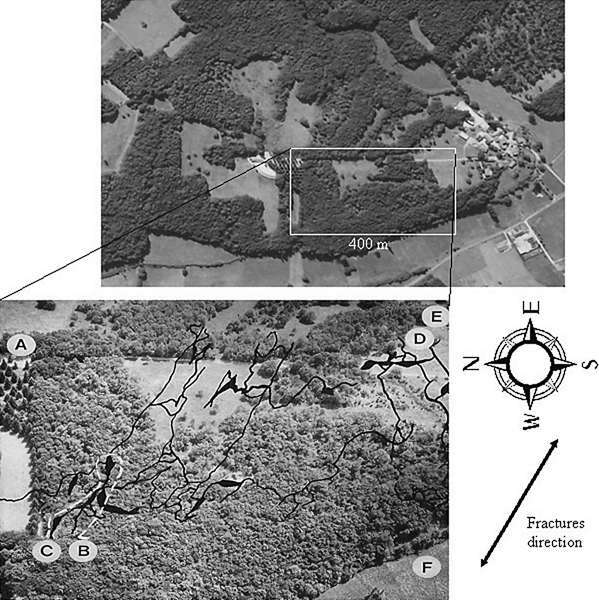 #8 : monitoring station on upper galleries on the wild part of the cave. 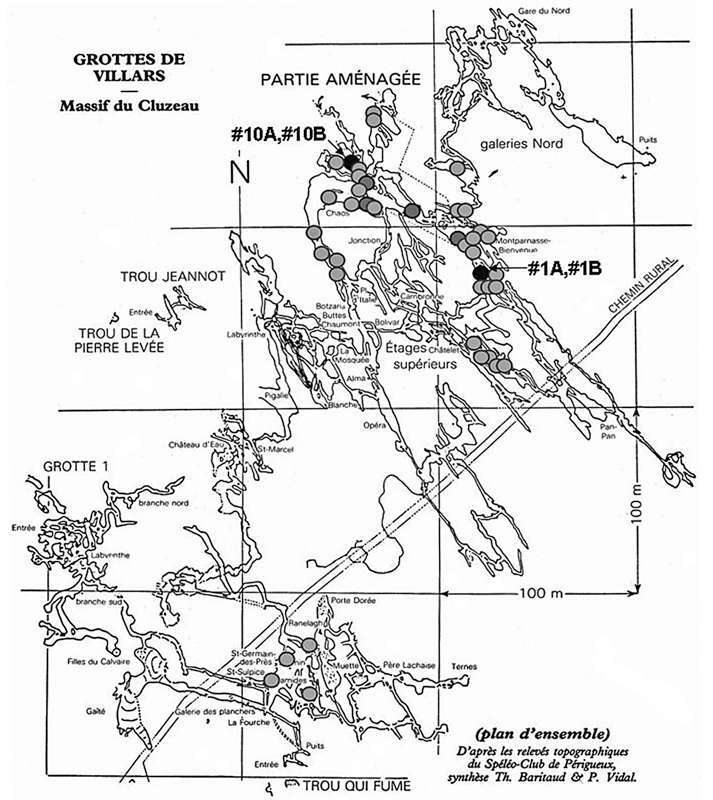 Location map of Villars Cave, Grottes de Villars, near Thiviers, a few hundred metres north of Le Cluzeau. Photo: Périgeux Tulle road map 1:100 000. 3615 IGN. © IGN Paris 2001. 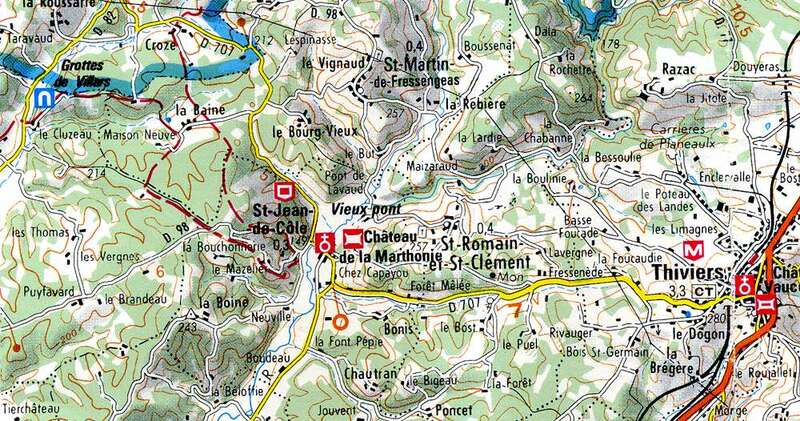 This map is indispensable when travelling in the area. 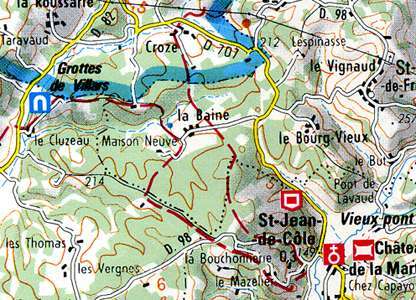 It has the unusual and welcome property of combining tourist information with contour lines. A : tourist information centre (from Vidal and Baritaud, Spéléo Club de Périgueux). Painting known as "The little blue horse"
Some of the paintings, such as this one in the Salle des Peintures of Villars Cave are covered with a thin layer of calcite which gives the paintings this particular bluish hue. The same little blue horse as the above, from a little further away. It has been painted in manganese dioxide, and the coating of calcite has given it this blue colour. Dated to 17 000 BP. Painting in Villars Cave known as "The Horses Fresco"
Villars Cave horse and horse head, painted in manganese dioxide, and coated over the millenia with calcite, which has the effect of making the black manganese oxide appear blue. This painting of a bison and sorcerer is one of the few which portrays a human in paleolithic parietal art. Completed using manganese dioxide as a black pigment, it has retained the black colouration because this part of the wall has not received a coating of calcite. 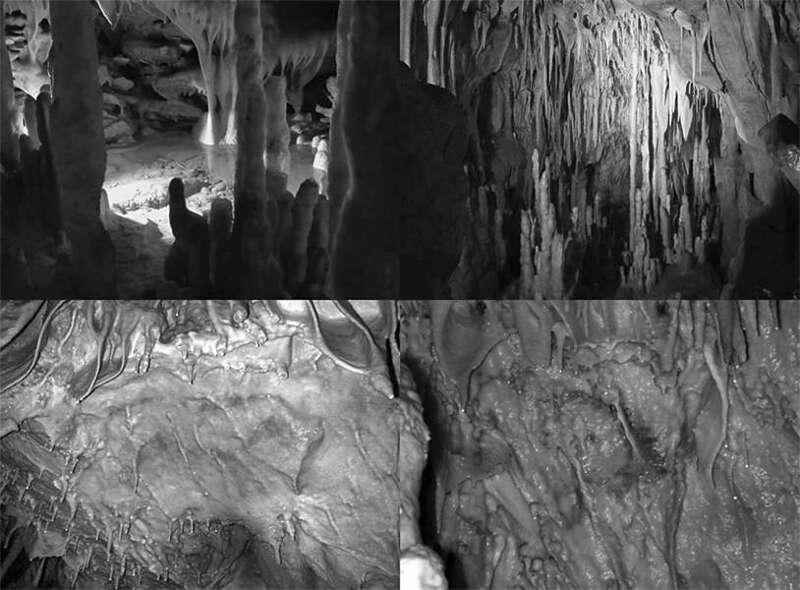 Top left: A small gour in the Villars cave; top right : Stalagmites from the "Salle des Cierges"; bottom left : "Le Cheval Bleu" (Blue Horse) - Manganese painting covered by a thin calcite layer; bottom right : a Bison covered by a calcite layer and by stalactites (Early Magdalenian paintings). 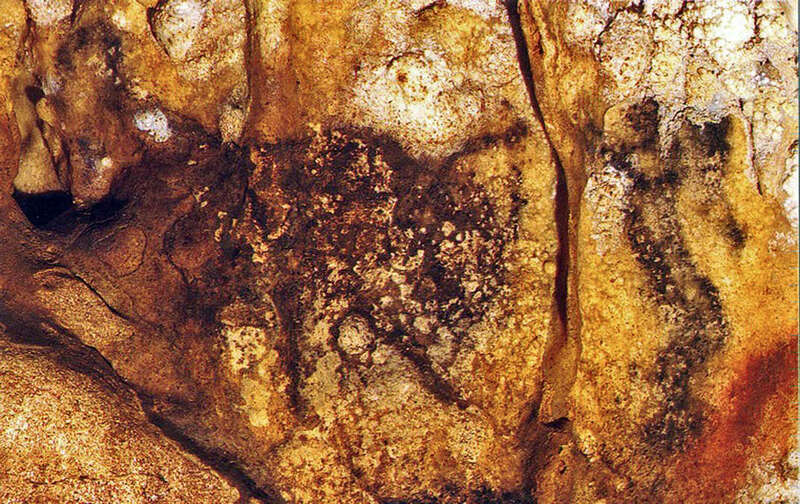 Delluc B., Delluc G., 1974: La grotte ornée de Villars, Gallia Préhistoire, 17: 1-67.